Miniclick Photography Talks - art noise. 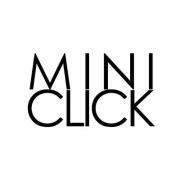 The Miniclick photography talks have been going for well over a year now, and their success is not without good reason. Jim Stephenson, the man behind Miniclick has worked hard to bring Brighton a selection of the countries finest photographers and have them talk about their work for free. Art Noise has had the joy to visit 3 of these talks, and each one has been better than the last. Never mind the talented people talking about their work, before they start the room is filled with a vibrant and friendly crowd, all chatting to each other about everything and anything over a pint. Jim ensures he welcomes as many people as possible to the event, and his friendliness and over all good spirit seems to rub off on people. The latest talk had Ewen Spencer stand before us. Mostly showing off his personal work (including his recent photography of rock duo the White Stripes), Ewen captivated the audience, and made this particular show one of the best Miniclick events yet. If you are into photography and from Brighton, you need to visit one of these events. They are both an eye opening view of a professional photographers work and a great way of meeting fellow photographers and photography fans, of all ages and abilities who are at the centre of the Brighton photography community. yep they are an essential part of the photography scene in Brighton and further afield. Thanks Stu! Always good to see you down there – hope to see you at Chris’ to.